I really enjoy sending and receiving QSL cards as a part of this great hobby. I know there are other alternatives such as eQSL and LOTW - but there is just something fun about getting a REAL QSL card in the mail! 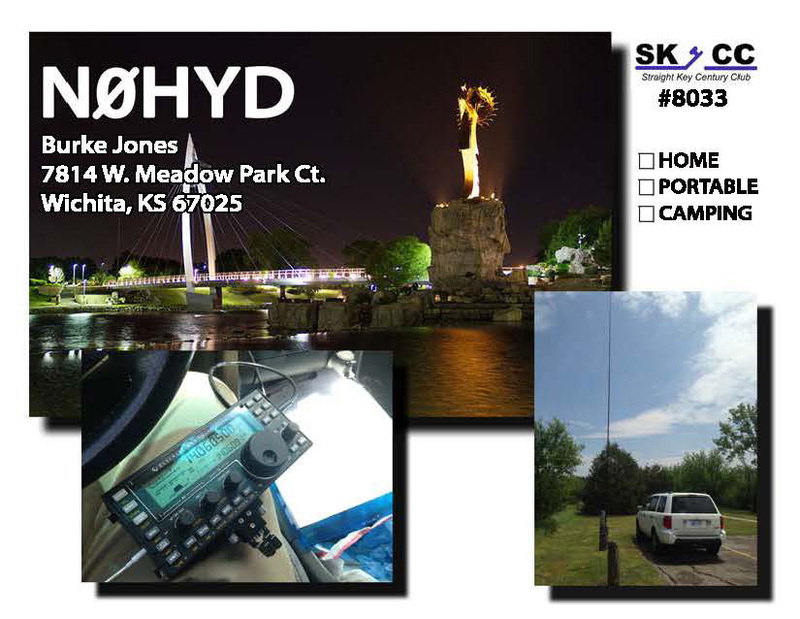 I finally got my QSL card designed and printed. Its not perfect, and there are already things I want to change, but since I only print 40 at a time that wont be a problem. Here is what it looks like right now (all the contact details are on the back so that I could maximize the front with pictures). Last night I finally finished filling out and addressing all 30 of the cards by hand. This was TIME CONSUMING! I have decided on a new QSL work flow. At the end of each operating period I will fill out and address cards to the stations worked. Then I can mail them the same day. Plus this will also let me write something personal about our QSO on the card while it is fresh in my mind! In the field I use Ham Log on my iPhone to record all the contacts. I love this little app. It has everything I need for portable operations. It can even upload straight to eQSL - although I have decided that I am going to be a direct and LOTW QSLer ONLY. I just don't really see the point of eQSL - but if I change my mind in the future I can always start uploading again down the road. While Ham Log works good for logging in the field, I also want something on my computer at home as my main log. I have decided I am going to go with ACLog. ACLog will import the ADIF file that I can export from Ham Log, so that will be nice and simple. ACLog also makes uploading to LOTW a snap - which is a big bonus. It can also print address labels for QSL cards - which would also be a nice feature if I have more than a few per day. So that is my plan right now, as always it is subject to change! How do you handle logging for your operations? I would be interested to hear, just leave a comment below. I use the logger in HRD (the older, still free version). I do log to LoTW and eQSL, for a couple of reasons. 1. even though I'm not interested in awards now, some day I might be. Having LoTW up to date will help me out some day. 2. lots of foreign operators are using eQSL, so I use it to help them out for whatever they are trying to achieve. For portable ops or when the computer is down, I write on post-its and then put it back into HRD. I don't think I could stand using multiple software programs! After reading your comment and getting ACLog all setup, I will keep sending QSO information to eQSL. It is just too easy and doesn't take any time. So now I am using my iPhone Ham Log app in the field, exporting the ADIF to ACLog and then going from there. Works really well!